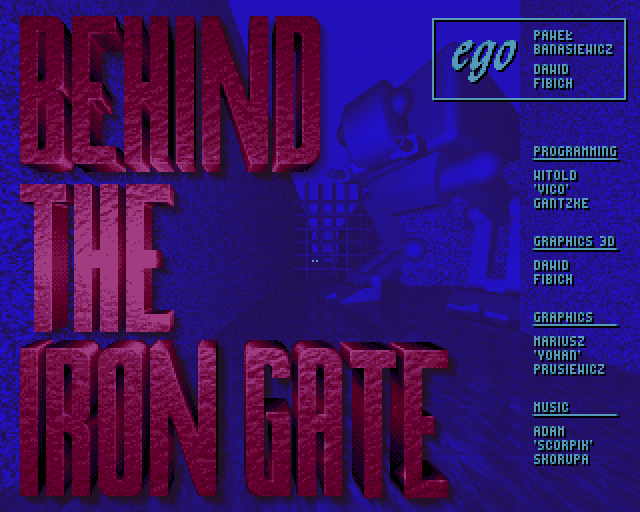 Last FPS Friday, I played Behind The Iron Gate, which was all blue and full of robots and misery. 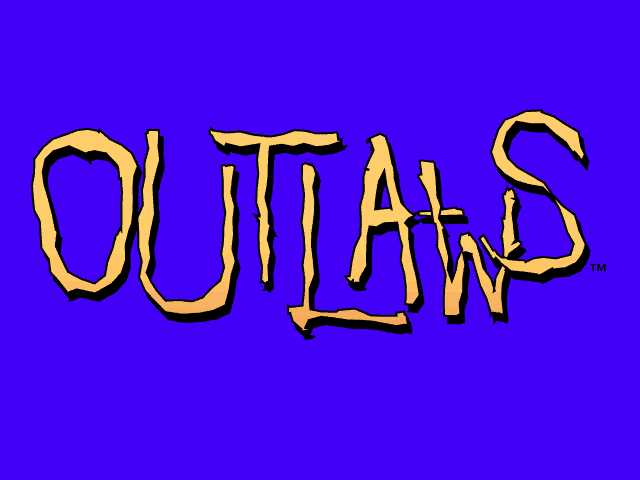 Today, it's Lucasarts' Outlaws! If there's any robots in this, I'll eat my massively oversized wide-brimmed cowboy hat. I love Super Mario Crossover (browser game link), and I'm kind of surprised Nintendo hasn't taken the idea for themselves yet. Someone put Mario, Mega Man, Samus Aran, Simon Belmont etc. together in one game, and for once it wasn't in a fighting game or a racing game! Uh, not that there's anything wrong with those genres, it's just not really their natural habitat. So when I found out there was a game called Wai Wai World starring famous (pre 1988) Konami platformer heroes, I thought it might be worth a look. I just hope they don't make me play as that Captain America wannabe sticking his head through the title screen. At last (by popular demand), a totally new game genre for the site. Actually I don't think I've ever even played a trading card game at all, so this is all going to be totally new to me. 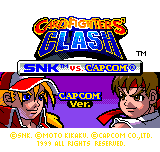 Like the Pokémon games, this came in two flavours: Capcom and SNK (though both versions are actually made by SNK). I'm gonna have to go with the Capcom version though, as there's way more chance I'll actually recognise some of their characters. 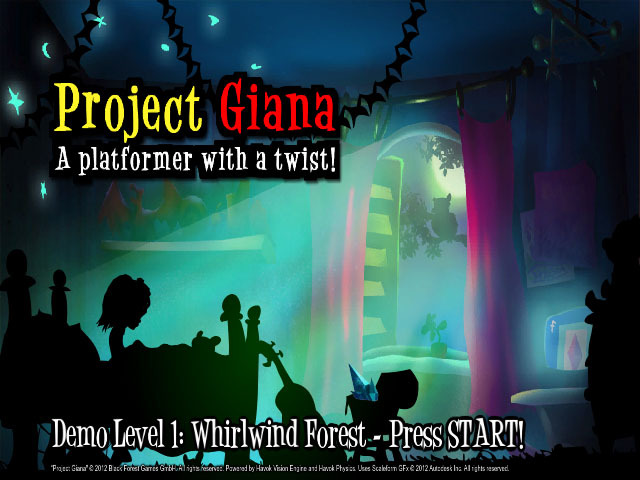 This is the second sequel to classic platformer Great Giana Sisters though, so hopefully it'll make a million internet bucks on kickstarter in its last few days and they'll get the cash they need to finish it. Maybe someone will even give them a good idea for a new title while they're there. Because you requested it, today I'm taking a look at the first of the James Pond games. You know, for a one joke character (he's the fish version of James Bond! ), the F.I.5.H. agent didn't actually do so badly for himself. 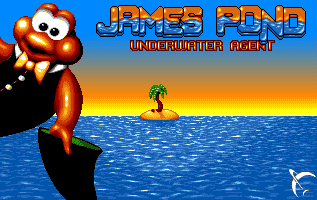 Most of the 90s platformer creatures faded away before they even got a sequel, but this guy managed to make it all the way up to the sports game spin-off part of the vg mascot lifecycle before disappearing without a trace. Though I did hear rumours that he resurfaced in a rubbish iPhone game a year or so ago, this time with a Harry Potter pun in the title (Deathly Shallows). He isn't a wizard in it though, so they kinda missed the point there. 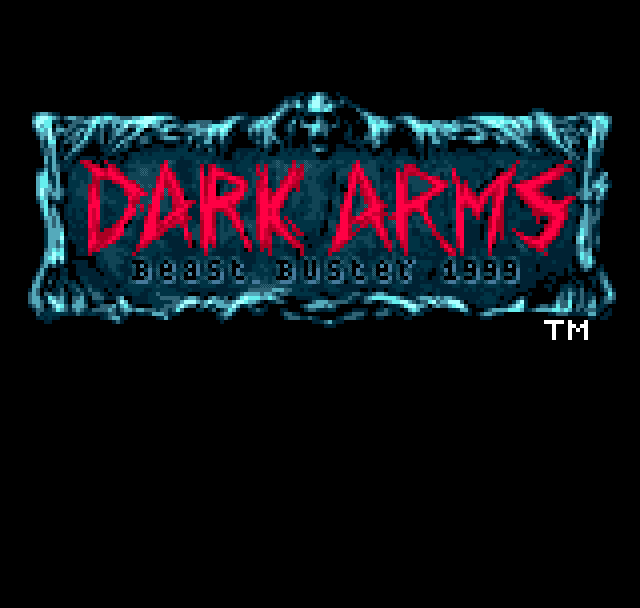 Today I'm looking at Dark Arms: Beast Buster 1999 on the Neo Geo Pocket Color. It's apparently a spin-off of an arcade rail shooter called Beast Busters, and it came out in 1999, so that's why it has the weird title. This time last year, I played Interpose, a naff shmup with animated cats in it. 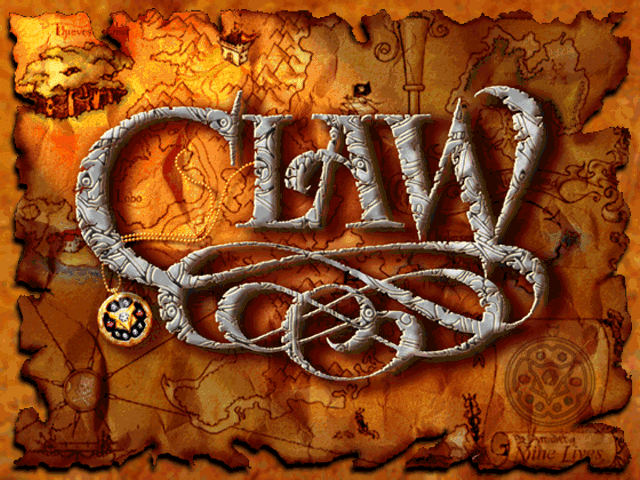 It was hard work finding a game that could top that in terms of cat quotient, but I think I've found one in Claw, aka Kapitan Pazur. Look at the box! (Mobygames link) How could anyone not want to play that! In case you were wondering, the actual game cart looks nothing like this. This is the last day of Bond week, finishing up the first decade of the series. Plus the 16-bit era as well, which is convenient. 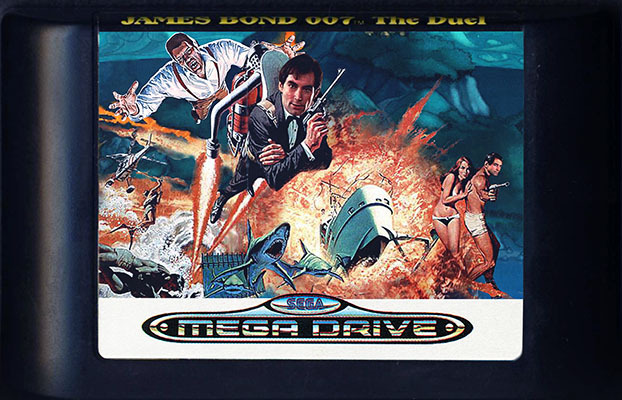 Sega's first shot at the Bond licence was a port of James Bond 007 for the SG-1000 console back in 1984, but it took until a decade later in 1993 before they finally got their own exclusive game. Two of them in fact, one for Master System and one for the Mega Drive/Genesis, each sharing the same name. This is the ultra-rare alternative cover that I threw together myself just now. James Bond week continues with a pair of games cursed with the same name, both only on Nintendo. 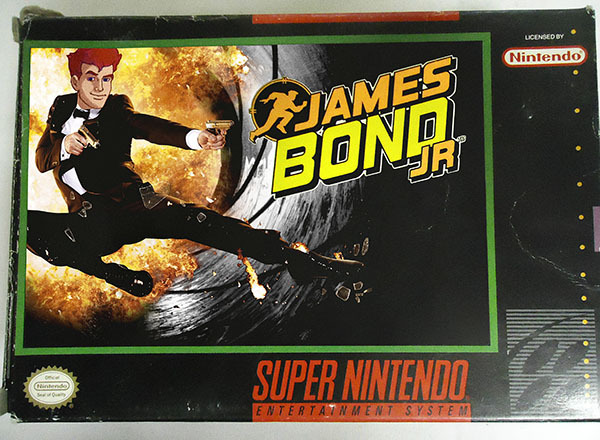 Generally the reason I play all these games is because I'm honestly curious about them and I want to know what they're like, but the SNES version of James Bond Jr and I are already acquainted. I played this game once already last year, and it'd be fair to say I didn't really enjoy it much. Also I hate it. But this is the only Bond game the Super Nintendo ever got and it'd be a shame to skip over the system entirely, so I'm playing it again. For you. The actual box art looks a lot better. James Bond week continues with just a single game today. Well, mostly. 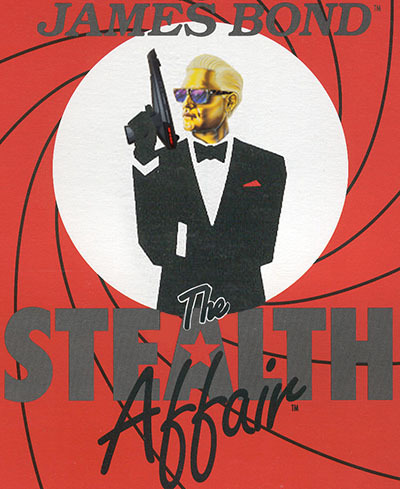 The Stealth Affair was the last Bond game released on home computers for over ten years, as the consoles finally captured the franchise for themselves. Then presumably the franchise was offered dinner and then locked into some kind of easily escapable death trap while the consoles explained all their sinister plans to it. Aka. 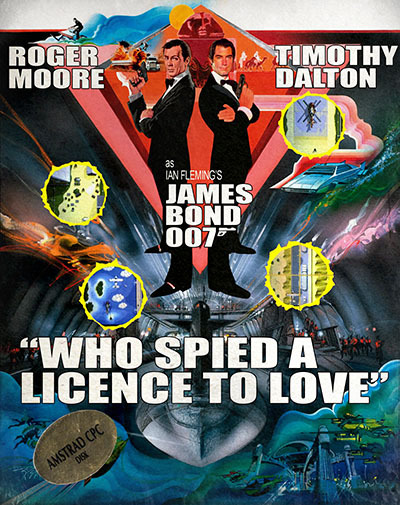 "To Kill Who Licenced the Spy Love"
Sadly not a real thing that actually exists. James Bond week continues! 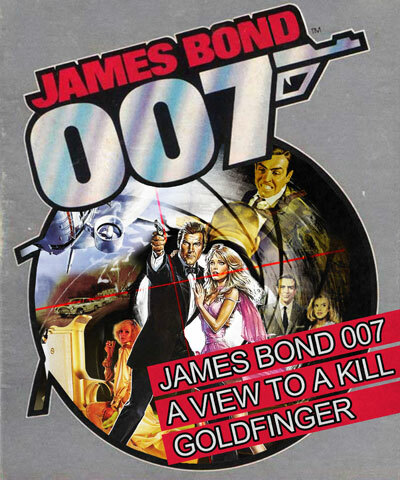 In part one I took a brief look at the first four years of Bond games, from James Bond 007 on the Atari 2600 to Goldfinger on PC. I can't say any of them really impressed me, but hopefully that just means I've gotten past the worst of them now. This is what happens when I have Photoshop open when I'm bored. It's another Super Adventures special event! Every day for the next week I'll be going through the first 10 years of the Bond game series, from James Bond 007 to The Duel, and hopefully everything in between. 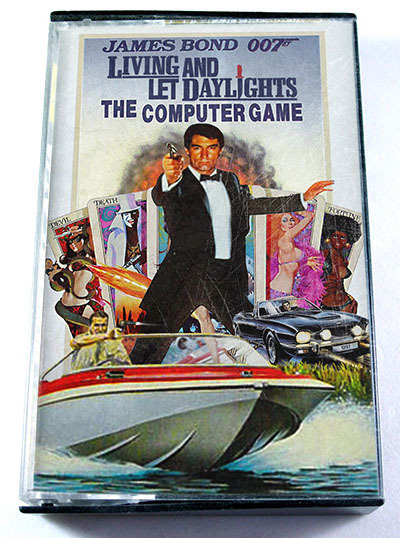 So if for whatever reason you don't like reading about James Bond, or looking at crap screenshots from ancient Atari and Commodore systems, I'll apologise now. Sorry about that. Why, it's been over six months since I've played an Amiga first person shooter! Way back in January, I played the high-tech, body-swapping sci-fi adventure Genetic Species. Maybe you're thinking I've given up, or that I've ran out of Amiga FPS games? If so, you're dead wrong! 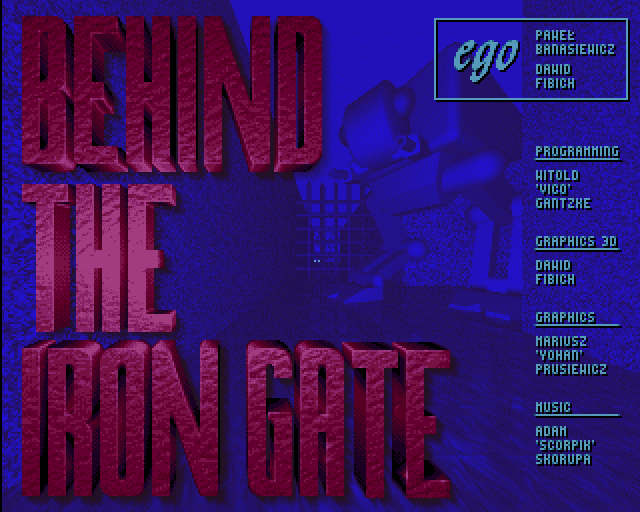 It's Behind the Iron Gate! Also enigmatically known in its native Polish as Za Żelazną Bramą! Okay straight away I should admit that I'm only playing this game to give me an excuse to link to the theme tune on youtube. It's maybe not the first video game theme with vocals, but I reckon it's pretty good for something running off a floppy disk. 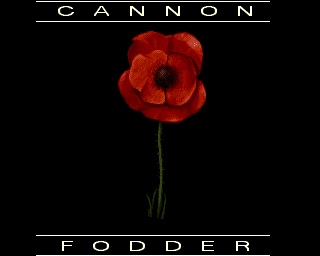 It'd be fair to say that I've played Cannon Fodder before. In fact I've played it a lot, and I even played the Cannon Soccer special for the site last Christmas, but I'm going to write about it anyway. Because the game's a classic and I had to get around to it sooner or later. 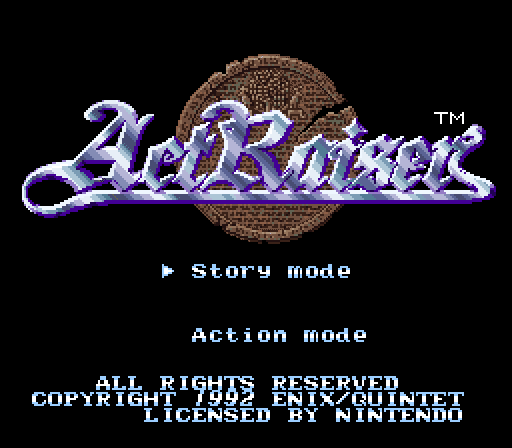 By request, today I'm going to find out what ActRaiser is. It seems that the US, Japanese, and European versions of this are all slightly different, though I'm not really sure what was changed. I do know that the European version I'm playing has an extra 'Action mode' available, which I'm not going to pick. Plus they've given the game a difficulty select screen, though like usual I'm just going to leave it on the the medium setting. 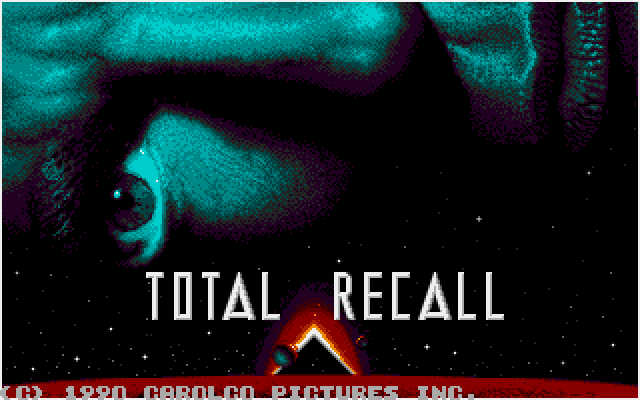 Super Adventures in Games Based on the Original Total Recall Movie Starring Arnold Schwarzennegger. I thought seeing as there's a Total Recall remake coming out, this'd be a great time to take a look at the game based on the original film. Seemed a sensible enough idea, until I found out that there was more than one of them. Four entirely different games in fact, on six different systems, all with the exact same name. But whatever, I'll just play all of them. Nice title screen but, uh, why is Arnie's head orbiting Mars? I'm sure his face wasn't tilted sideways in any of the posters. 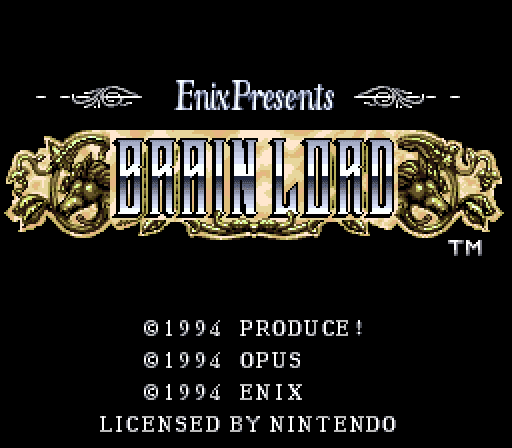 This time I'm taking a look at Brain Lord, which was requested a while back. Judging by the name I'd say there's no way this isn't going to be a horizontal scrolling shoot 'em up. Or maybe one of those top view run and gun alien killing games. 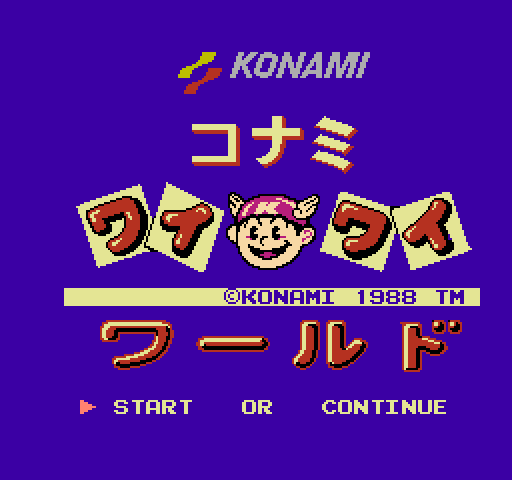 But then again it's got Enix on the title screen, who are famous for two things: RPGs, and more RPGs, so I'm not sure anymore.